Hi! It’s been… quite a while since I’ve posted a recipe on here, so I figured it was about time to add one. 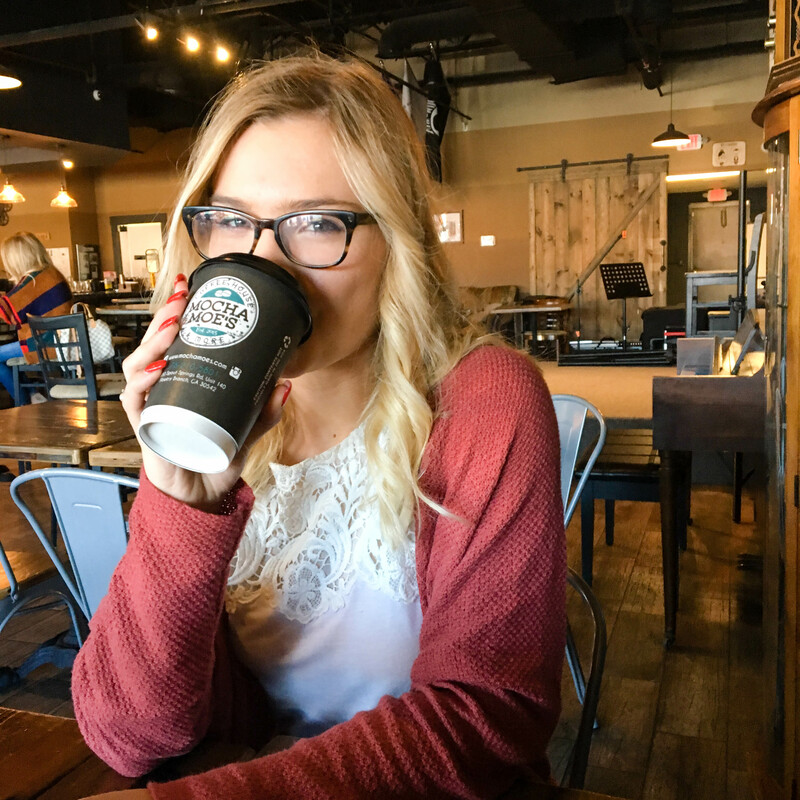 I’m all about simple cooking – while I love recipes where you make everything from scratch and spend hours in the kitchen, they’re sometimes just not compatible with real life. Almost everything I do in the kitchen takes less than 30 minutes. This recipe (minus marinating the tofu) is no exception. 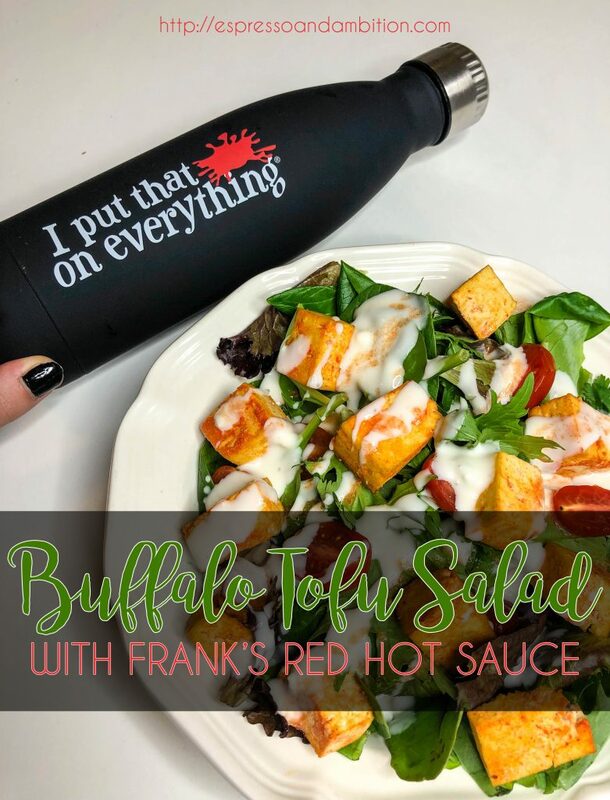 This post is done in collaboration with Frank’s Red Hot, which is conveniently my go-to hot sauce. When I want something with a little kick to it, this is what I go for. And one thing I’ve recently discovered that I love? 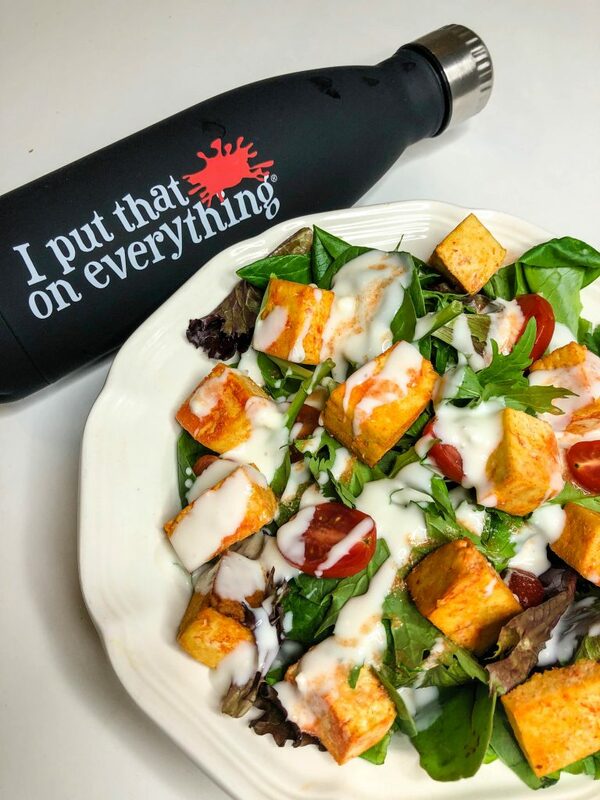 Hot sauce on salads. It sounds a little strange, but that little kick makes a whole bowl of veggies so much more exciting. Hence, that’s what today’s recipe is: buffalo tofu salad. Making the tofu is really the only somewhat-complex part of this recipe. Mix the Frank’s Red Hot, vinegar, and garlic powder in a Tupperware dish. Cut the tofu into bite-sized cubes. Put the tofu in the Tupperware, shake a few times to make sure the marinade gets on all the tofu, and let sit for a while. Personally, I marinate mine overnight – but an hour or so should do the trick as well. Cook at 400 degrees for 20 minutes, flipping halfway. While the tofu cools, assemble the rest of the salad. This recipe makes 4 servings, so divide up the salad mix and halved tomatoes between 4 bowls (if you’re only making food for yourself, divide into Tupperware to store in the fridge for later). Add cilantro – either roughly chopped or just torn by hand if you’re lazy. If you’re one of those people who thinks cilantro tastes like soap, feel free to skip this step. Add tofu, and drizzle the entire salad with bleu cheese dressing. Skip the dressing if you’re storing things in the fridge, and put the dressing on when you actually go to eat it. The macros for this recipe are: 10g carbs, 12.5g fat, and 23g protein – not too shabby for a vegetarian salad! Add a slice of whole wheat toast on the side if you’re looking to up the carb ratio in this meal. It’s a great healthy alternative to plain ol’ buffalo wings and a way healthier gameday meal! 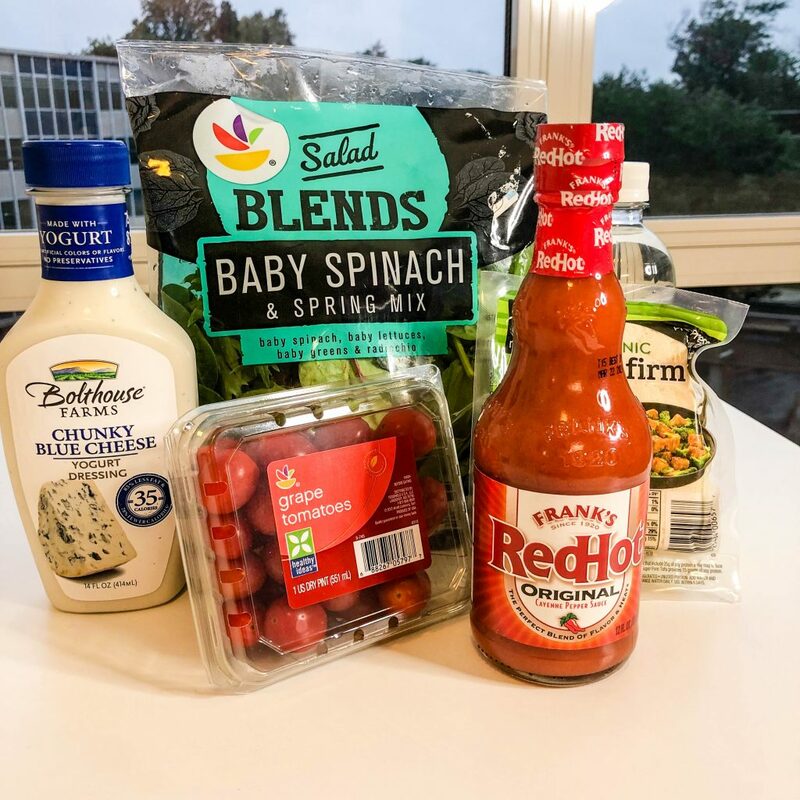 This post is brought to you by Frank’s RedHot and Her Campus Media.